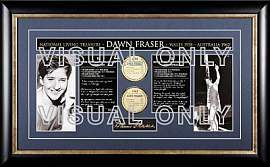 Dawn Fraser : Fundraising : Memorabilia : Official Site. Dawn’s fundraising collages have been extremely successful in assisting many needy causes. She has supported fundraisers in many areas of the community via Golf Days, Charity Ball’s, Benefit Evenings and the like. All of the past 40 years Dawn has been asked to host or attend fundraising events all over the country, she does her best to help but it is impossible to get to everyone. 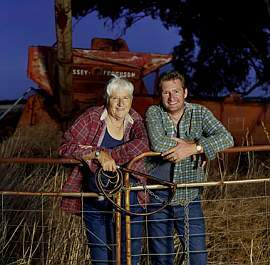 Whilst on her farm some years ago at 3.00am sowing crops, Tim Konz and Dawn brainstormed two of the most successful limited pieces of personal memorabilia this country has ever seen. Now fundraising events all over Australia can benefit from these wonderful collages. 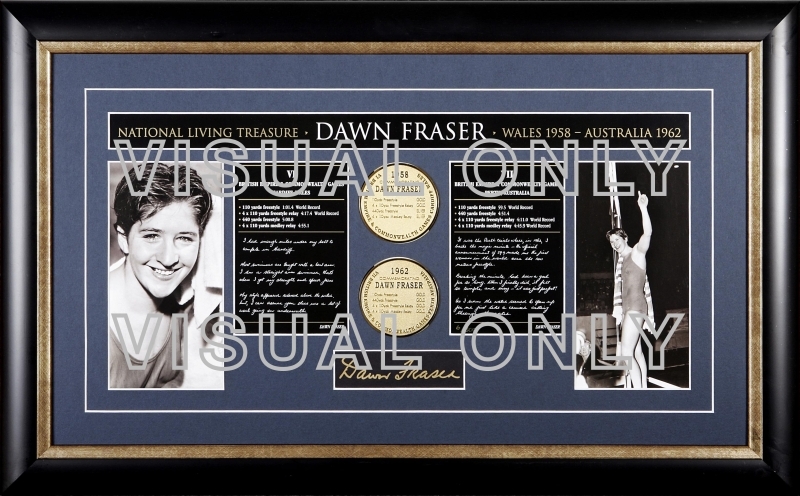 Dawn Fraser memorabilia produces more significant funds for the beneficiary than any item Dawn has ever autographed. Enquire today on how you can have this exclusive series of memorabilia at your upcoming benefit or fundraising event. Send your contact details to The Australian Sports Hall of Fame via email by clicking here and include details of the event, date, venue, and Tim Konz will be in touch shortly. We will be posting here SOON some memorabilia which Dawn has collected over the years which you will be able to purchase.Please return soon.